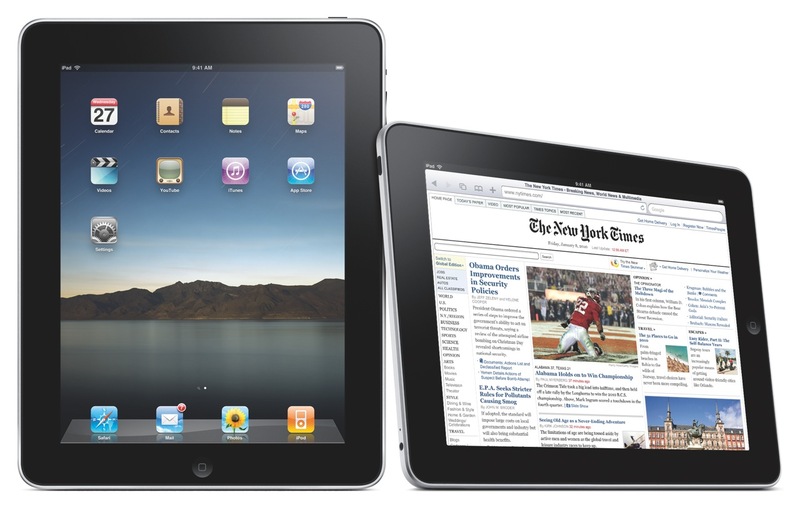 There's no doubt that this new stuff will make it the hottest keyword in the coming days - iPad. Hey good name is't it? While just changing a character of iPod, there's no better one. No need to say too much about what it can do now - as so many rumors have been proven - this not-too-little gadget costs $499 for 16GB, WiFi, 9.7inch touch IPS screen, $599 for 32GB and $799 for 64GB. Use 3G to browse internet? $130 more for each model makes it true. Ok. That's all for the show. Surprised and excited? Nah~~ that's ok. For me, it's cool enough, but I like my MacBook more. Plus, it must be the hottest stuff in Starbucks in the near future too. You must know where to find it. Update: Maybe I have to take my words back? It beats the photo frame, the game console, the book, and ... I'd say, who don't want one? There are 3 responses to “iPad, new hottest keyword in coming days”.